TAKE QUALITY SERIOUSLY AND BUILD THEIR BEDROLLS IN THE USA RIGHT EVERY TIME! Canvas Cutter bedrolls are designed to keep you dry and comfortable in all weather conditions without the hassle of setting up a tent! 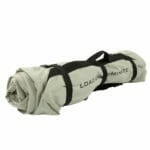 This is an all season “waterproof bedroll” that has been designed to take the abuse of rugged wear and tear yet will provide you with sleeping comfort. 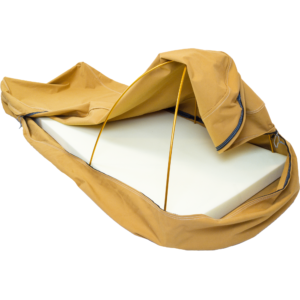 Built specifically for truck or horseback camping Canvas Cutter’s Dominator and Fortress all-season bedroll models are easy and quick to set up. These bedrolls will protect you from the elements. Designed with 3 heavy duty nylon quick release compression straps, an easy carry handle, military spec zippers and SUGGESTED AVAILABLE UPGRADES, specifically a quality foam mattress and high grade aluminum alloy “head pole” system this bedroll is simple yet revolutionary in design to meet the demands of outfitters, sportsmen and outdoor enthusiasts. For those individuals who are constantly on the go and wish to save set up time out in the field yet still value comfort the Canvas Cutter bedroll system is for you! Shed antler hunters, trail riders, hunters, and “outdoor vacationers” around the world who seek adventure, the Canvas Cutter bedroll is for you. •	DOUBLE stitched for added durability and water resistance. •	Water and mildew resistant. •	Designed with an Easy Carry Handle. •	3 quick release clips for easy roll-up’n go design. •	Our zipper meets Military specifications and operates smoothly in mud, sand, or dust. •	4 zipper pulls allowing for better ventilation and convenience. o	Made in the USA. 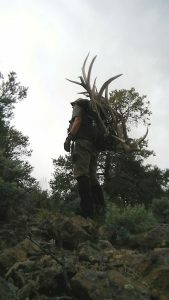 Although a large percentage of the time that I spend out on the mountain hunting, exploring, etc, is with a backpack and my home so to speak is on my back there are many of my adventures where packing “ultralight” is not important but saving “setup time,” convenience and the comfort of getting a good nights sleep is! 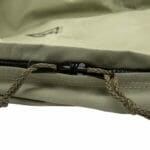 This is where the Canvas Cutter bedroll system caught my attention and has played an important role for me regarding these specific factors when I’m out on the mountain. Bedrolls can be defined in many different ways and have been around for hundreds, if not thousands of years – for instance, in the days of the “wild west,” a bedroll basically consisted of hides and a blanket that cowboys, pioneers, etc, threw down on the ground as they traveled. However, in today’s world, Canvas Cutter has taken the bedroll system to an entirely different level! 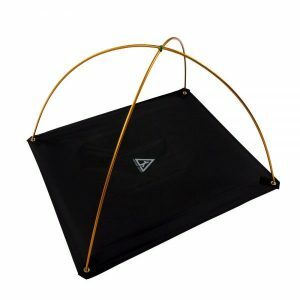 Just last year, they released their revolutionary ground sleeping concept that consists of a water resistant, protective cover that houses your mattress and sleeping bag rolled up into one basic system. 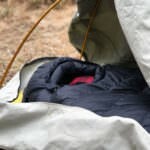 From my view, I see the Canvas Cutter Sleeping System as a “very big, self contained BIVY. There are many instances when I am out shed antler hunting, scouting new country, etc, where I have the opportunity to throw my camp up near my truck or in some instances off the back of a pack mule. When these circumstances present themselves time, convenience and comfort are critical factors for me. In these situations I prefer a different “camping style” that allows me to move around without breaking down camp everyday. That’s exactly why I researched and have used the “Canvas Cutter Dominator and Fortress bedroll systems!” The Dominator is slightly larger in length/width than the Fortress and is several pounds heavier. Both bedrolls feature the same design. I appreciate the 4 Military spec zippers in these bedrolls as they allow me easy access and the ability to ventilate my bag in cold temperatures. I’m also confident that the zippers will function properly and not break. I chose to upgrade both of my Dominator and Fortress bedrolls with the Canvas Cutter high-density 3” foam mattress and innovative pole system for additional headroom. It should also be noted that a 2.5” foam mattress is also available. I prefer the pole system because it allows me to attach a small battery powered LED lantern to the frame so that I can read, look at maps, etc, inside my Canvass Cutter. The Pole System, weighing just 1.4 lbs, is very fast, easy to set up and is made out of high-grade aluminum alloy poles and a reinforced Sunforger canvas foundation mat. 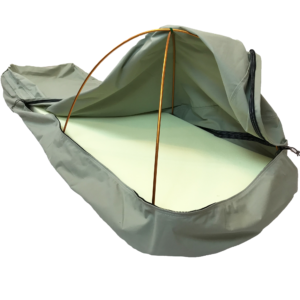 This system improves your sleeping experience as it moves the bedroll material away from your face and allows additional room for mobility and air. This is very positive if you are prone to being claustrophobic. My sleeping bag of choice that I keep inside my Canvas Cutter is always a high quality down bag. For colder conditions I go with a heavier down, in warmer weather a lighter down. 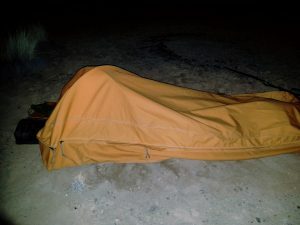 I have also used an inflatable sleeping pad inside both bedrolls that saves bulk and weight, thus allowing me to compress the entire sleeping system to a smaller size. 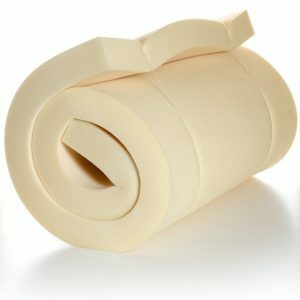 However, I have found the inflatable pads are not as comfortable and make more noise as the foam mattress. You also have to take time to blow them up. When camping by your truck, ATV or off the back of a pack horse or mule this is not a factor. I also keep a small blow up pillow inside my bedroll for convenience. 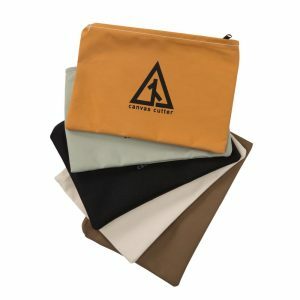 The enclosed Canvas Cutter bedroll system is efficient at keeping bugs, sand, rain, snow and other insects or snakes out of my sleeping quarters. This has translated directly into a comfortable, relaxing sleeping experience when I’m out in the field. The Canvas Cutter Dominator and Fortress Bedroll Systems both come with a very nice small Utilities Bag that you can use to store your incidentals in such as a toothbrush, toothpaste, chap stick, etc, that you can keep rolled up inside your bedroll so that you never have to repack those items. This is just another small detail but very important convenience that Canvas Cutter has addressed for their clients. •	Have a small dry sack or plastic garbage sack to place my boots and clothes in. This keeps them dry and free of debris or insects. •	A small tarp or two-man tent can come in handy if it is really rainy weather. This will keep the water off the inside of your bedroll when getting in. Once inside you are moisture free. I have a camper shell on my truck and have used my Canvas Cutter inside the shell many times. I don’t have to unload coolers and other gear. I just sleep on one side of the truck bed. In those circumstances I don’t have to utilize the pole system. If I am using my ATV, I attach my “Cutter Bedroll” to the rack. If the weather is really wet and miserable, I angle and tie a small tarp from the rack of my ATV to where I have my Canvas Cutter set up. This allows me to climb inside the bedroll without getting moisture on my sleeping bag. There have been instances when I will also set up a cot by my truck or ATV and lay my Canvas Cutter without the pole system on top. This is very convenient and ensures additional comfort and space to store gear and other items. 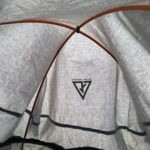 It should be noted that I have also used my Canvas Cutter inside a lightweight 2-man tent. Works extremely well this way also. One issue that is always extremely important to me when purchasing gear is their WARRANTY. At Canvas Cutter, they guarantee to make it right the first time you have an issue (I have never had a problem) and will continue to make it right with their customers throughout the future. They will repair or replace your bedroll in the event it becomes damaged or defective at no charge to their customer. If you ever have a problem, no matter the cause, they promise to take care of you. Canvas Cutter does not cover loss, theft, or deliberate damage to their products. FREE SHIPPING This is amazing foam that you will not find anywhere for this low of a price. It is high quality, dense mattress foam that will keep you comfortably living the load go dominate lifestyle for years to come. Canvas Cutter’s Utility Bags are extremely versatile to fit your needs. 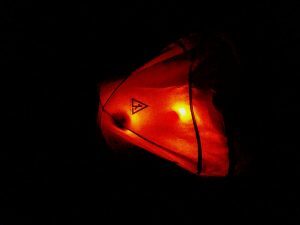 They work awesome as a toiletry bag (a bag you keep tooth paste, tooth brush, eye contacts and solution, medications, matches or lighter, headlamp and more) that you can always leave it in your bedroll so you don’t forget the easily forgettable items of camping. They can also be used to organize items in your backpack, store tools, or in whatever way works best for you. Like all our products, our utility bags are made of high quality materials. All our utility bags have heavy duty, self-lubricating, military grade zippers that will zip through dust, mud, and the life of the bag.